Millions and millions of people have flocked through the doors of Madame Tussauds since they first opened over 200 years ago and it remains just as popular as it ever was. There are many reasons for this enduring success, but at the heart of it all is good, old-fashioned curiosity. Today’s visitors are sent on a unique, emotionally-charged journey through the realms of the powerful and famous. The museum-style ropes and poles have gone so guests can truly get up, close and personal with A-list celebrities, sporting legends, political heavyweights and historical icons, reliving the times, events and moments that made the world talk about them…. Filled with 14 exciting, interactive zones and the amazing Marvel Super Heroes 4D movie experience, Madame Tussauds London combines glitz and glamour with incredible history. Walk down the red carpet and strike a pose with Kate Winslet, before challenging your favourite sportstars like David Beckham or Lewis Hamilton. Start your royal experience with an audience with the Queen, before standing alongside The Duke and Duchess of Cambridge. For the brave, get face-to-face with scary serial killers in our live fear experience SCREAM. After a sneaky behind-the-scenes look at how our World-renowned sculptors create the figures, relax in our taxis and relive the rich history of London. Then step up to your favourite Marvel Super Heroes before getting ready to experience the spectacular and exclusiveMarvel Super Heroes 4D movie, where our Marvel Super Heroes battle it out to save London from impending doom. So, who do you want to meet? With the River Red Rover ticket you travel in luxury on a fleet of river liners and may hop on or off at any of the piers as often as you like throughout the day. 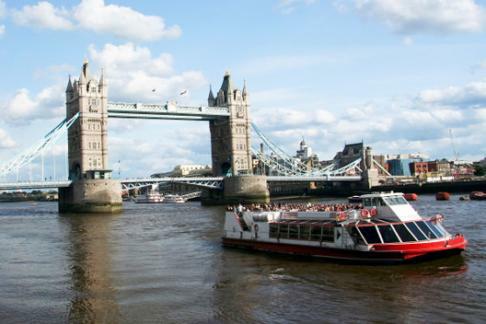 As the River Thames weaves its way through the heart of London there is history around every bend and there is no better way to see and experience the sights and splendour of this great city than from one of City Cruisesmodern, wheelchair-friendly RiverLiners™. Enjoy unsurpassed views of some of London’s most famous landmarks from the vantage point of our open upper decks and spacious lower saloons with panoramic windows. Take advantage of two bars providing light refreshments and snacks . Cruises depart frequently from Westminster Pier, Waterloo (London Eye) Pier, Tower Pier and Greenwich Pierevery day of the year except Christmas Day (25th December). Our shortest trips between piers last about 20-30 minutes while the full round trip takes about two-and-a-half leisurely hours.